The easiest way to bring local food to your business, organization, or institution. We install a hydroponic container farm directly at your location. We operate the farm from top to bottom: seeding, harvesting, cleaning & maintenance. Enjoy weekly harvests of fresh, local, and sustainably grown greens. Want more insight? Check out our 30 minute webinar! Choose how you're going to bring the produce to the people! Local produce for your cafeteria or salad bar. Once a week, we’ll drop off all the produce grown in your farm. It's the simplest way to add beyond-local produce to your existing salad bar, cafeteria, dining hall, restaurant, or other foodservice operation. An engaging CSA program for your people. Subscribers interested in buying produce from your farm will receive a share of the week’s harvest! Get your employees, students, or entire community eating local greens to promote health and wellness. We harvest exceptional produce every week. Our farms are optimized to grow high-quality lettuces, leafy greens, culinary herbs, root vegetables, even edible flowers. Let us elevate any salad bar, cafeteria, retail operation, kitchen, or home-cooked meal. 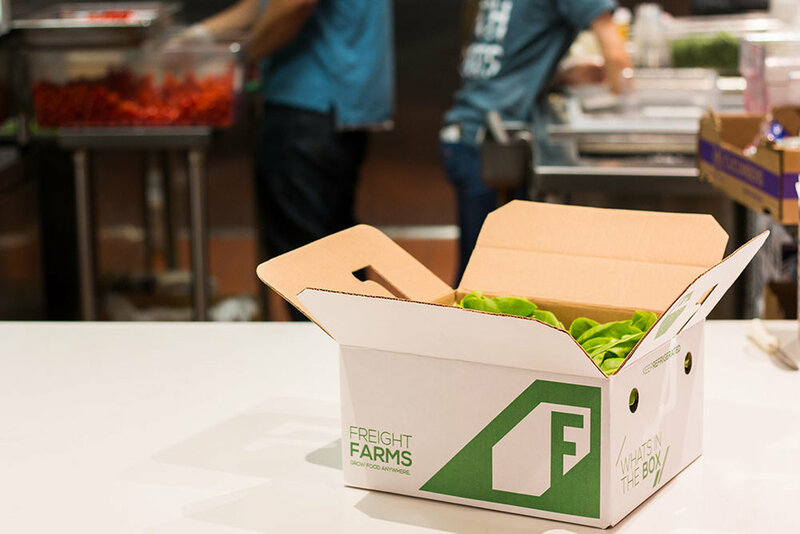 "Adding the Freight Farms operation to our dining program made total sense—it aligned perfectly with our mission of serving from-scratch dishes made of wholesome, fresh, and local ingredients." "The greens are a huge hit. 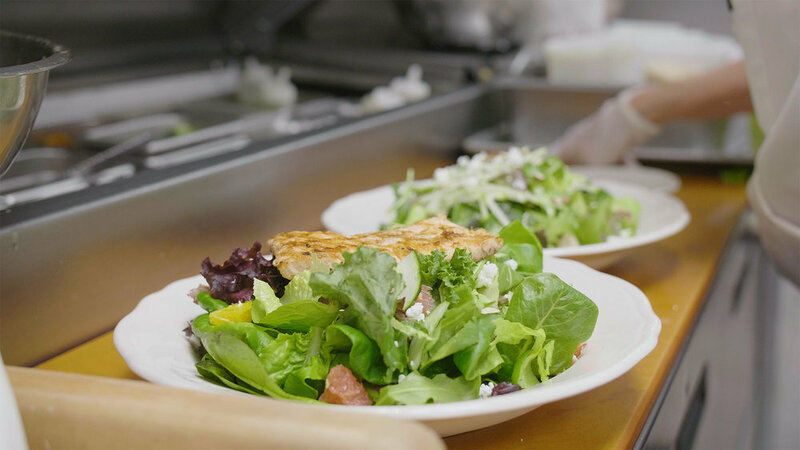 It’s allowed us to take our salads and offer a consistent quality across the board. 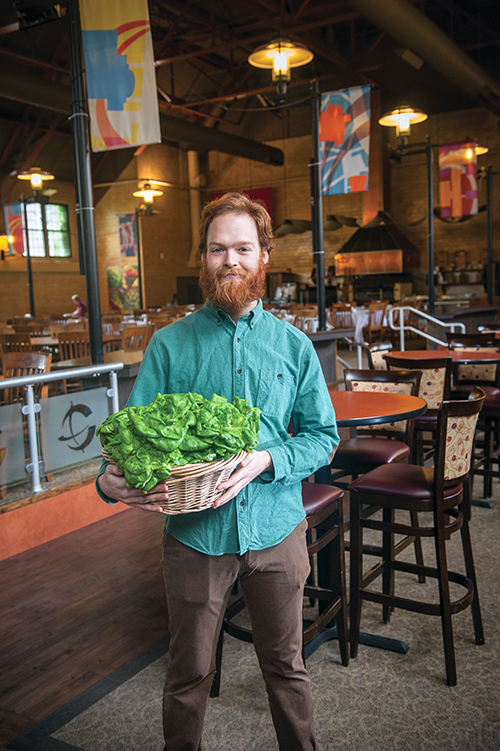 Never affected by weather, never affected by nature—our greens here are the best in town." B.GOOD implemented the Grown to Supply program to support their “Food with Roots” initiative, sourcing produce from local farmers and purveyors whenever possible. As a large corporation known for corporate wellness, Dassault Systèmes was eager find a way to bring fresh and local produce to their employees. Grown to Share was the perfect solution. Want to learn even more about Grown? Use the form below to download our 17-page information packet. Inside you'll find all there is to know about the program, and what it could mean for your site.